A musician at heart, KC Cassily brings people together by creating a central drumbeat and choreographing the steps needed to ensure success. KC’s genuine interest in people and cultures enables her to foster strong communication across business lines, borders, and departments. 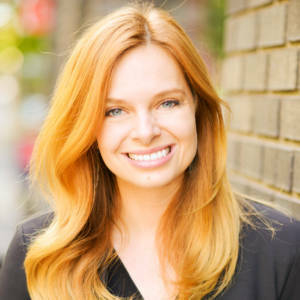 Goal-oriented, entrepreneurial and an optimist, she builds connections and drives results as easily as she captivated crowds during her 11 years as a professional Irish dancer. KC’s career has spanned three continents and an even greater number of industries. Her experience includes roles in international business, process, team and product management, sales, and design at Morningstar, Quiksilver, and Think Design. KC holds a bachelor’s degree in Economics, International Business, and Mandarin Chinese from Kalamazoo College and a professional associate degree in Merchandise Product Development from the Fashion Institute of Design & Merchandising in Los Angeles, CA.